We are delighted to announce confirmation of significant three-year funding! 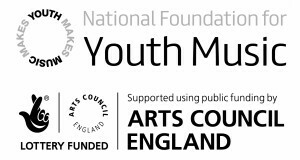 Youth Music is awarding Sound Connections £180,000 this year, with further grants of up to £342,640 being made available over the following two years. Sound Connections is one of 13 organisations around the country that has been selected to become a strategic partner of Youth Music. We are thrilled that over the next three years, we will be working with Youth Music towards creating a musically inclusive England where every child can access music-making opportunities, regardless of circumstances. This funding will allow Sound Connections to develop work with two target groups in particular – children under five years old and young people facing significant barriers to high quality musical engagement. It will also provide the opportunity to build on our unique youth voice programme, Wired4Music, our pan-London music council giving young people the chance to determine their own musical destinies through leadership, training and consultation.